WOW WOW WOW!!! COME CHECK THIS BEAUTY OUT TODAY!!!! FACTORY W30 , AC, extra key, AM/FM radio, CD player, rear defroster, 4 speed manual, seats 5, and a little history.....A longer 115-inch wheelbase and attractive new styling helped the completely redesigned 1964 F85/Cutlass become Oldsmobile's best-selling line. Cutlass models included a convertible, two-door coupe and two-door hardtop. The standard Cutlass V-8 during 1964-67 was a 330-cid cast-iron design. The first 4-4-2 performance package, available on Cutlass and two-door F-85 models, was released mid-1964. It included a four-barrel carburetor, four-speed stick and dual exhausts. An appealing facelift refreshed the Cutlass line for 1965, while the 4-4-2 package gained an exclusive 400 cid V-8—available with manual or automatic transmission. Sleek Cutlass offerings for 1966-67 shared their round wheelhouses with most contemporary full-size Oldsmobiles. The 1966 Cutlass line included a new and luxurious Supreme four-door hardtop. A full Supreme series followed for 1967, available with I-6 or V-8 power. Special engine options, including a tri-carbed 400 for 1966, and 1967’s 4-bbl. W-30, ensured the Cutlass 4-4-2 lived up to its "Civilized Supercar" reputation. 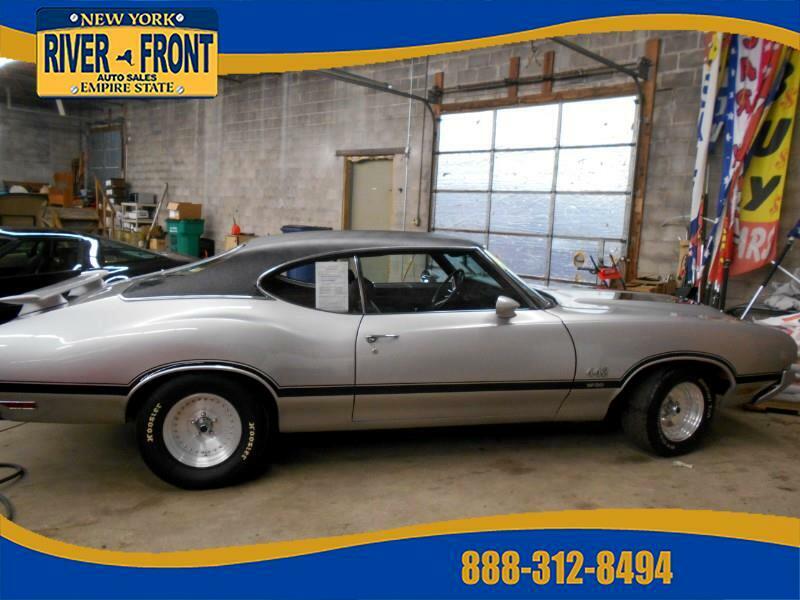 Authentic 1964-67 Cutlass 4-4-2s are valuable muscle cars today, and any Cutlass of the period can be an engaging collector car. Message: Thought you might be interested in this 1970 Oldsmobile 442.